We want to share our passion for skiing along with the experience of gliding on snow and the joy it brings. We aim to provide access to everything that Detroit Mountain has to offer to children and families that may have financial hardship. They called her a ‘ski angel’. It was in Detroit Mountain’s first season in 2014 that Barb Ellis made her donation. Barb, who lives in Bozeman, Montana and has a summer home in Detroit Lakes, made her donation to provide one boy and one girl between the ages of 6 and 12 with free season passes through the newly created Ski Angel Scholarship fund. DMRA added 3 free lessons and free rental equipment for the season to her generous donation. "I think it's needed and I made the donation to stimulate a challenge in the community. I want people to match my donation, or contribute whatever they can afford so kids who can't afford a pass will have a chance to ski." she said. Her challenge is one that has been met year after year. DMRA continues to reach as many children and families as possible to carry out our Ski Angel Mission. Ski Angel Program partners with several other non-profts and schools to give children and families in Detroit Lakes and the surrounding area access to winter recreation, with a goal to expand our reach into the summer months. What is a scholarship to DMRA? 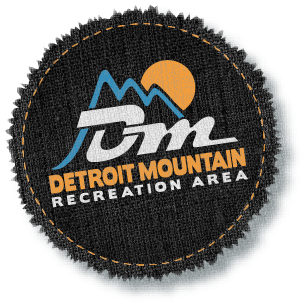 Detroit Mountain Recreation Area is a non-profit 501c3 focused on promoting sound environmental recreation and educational programming to develop the health and wellness of children, families and communities. The scholarship provides a reduced rate for individuals or families for usage of the facilities. Who qualifies for the Scholarship? To provide equal access to all users, we have developed a scholarship program for individuals or families who need assistance. Qualifications are determined based on need and available funding. A committee is established to review all letters of request for scholarship. Please take the time to carefully read and understand the criteria required for consideration. Scholarship applicants should also thoroughly understand the responsibilities that accompany the receipt of an award, including minimum volunteer hours. Please mail the attached scholarship application and a support letter explaining why you are requesting the funds to the address below. All information provided will be kept confidential and only one application is required per family. A completed scholarship application includes: DMRA Application form, and a Letter of Request, applications are not complete or reviewed unless both documents are provided. Once all of your information is received and reviewed, DMRA will contact you to schedule a meeting to review the conditions of the scholarship award. If you have applied in the past and received the scholarship you can still be considered for future scholarships however please know that it does not a guarantee you will be selected for the next year. We have limited funds and do try to reach as many families as we can. All requested information must accompany application. Incomplete applications will not be considered. Scholarship Award Checklist – All information will remain confidential. Conditions of Scholarship Awards: All participants receiving a scholarship must abide by the following conditions. Failure to meet these requirements will result in the forfeiture of the award. Each recipient will meet with DMRA representative to finalize award and schedule volunteer opportunities. Scholarships are awarded for a specified amount of time. Recipient will abide by the National Ski Association Responsibility Code. Disciplinary actions within DMRA may revoke scholarship award. For questions about this program please call 218-844-7669 or email us at: info@detroitmountain.com. We are very fortunate to be able to offer an outlet for a safe and healthy outdoor experience to so many. The only way that we are able to provide this valuable experience for the kids and families of our communities is through donations made by generous people, which is then in turn matched by DMRA.